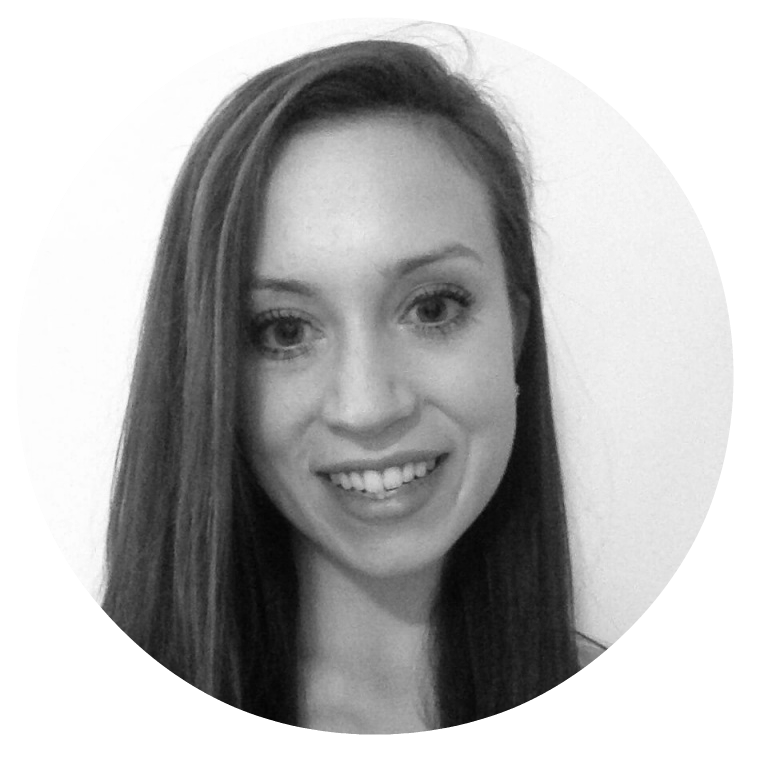 Hi there – Fiona here from Just So Tasty! 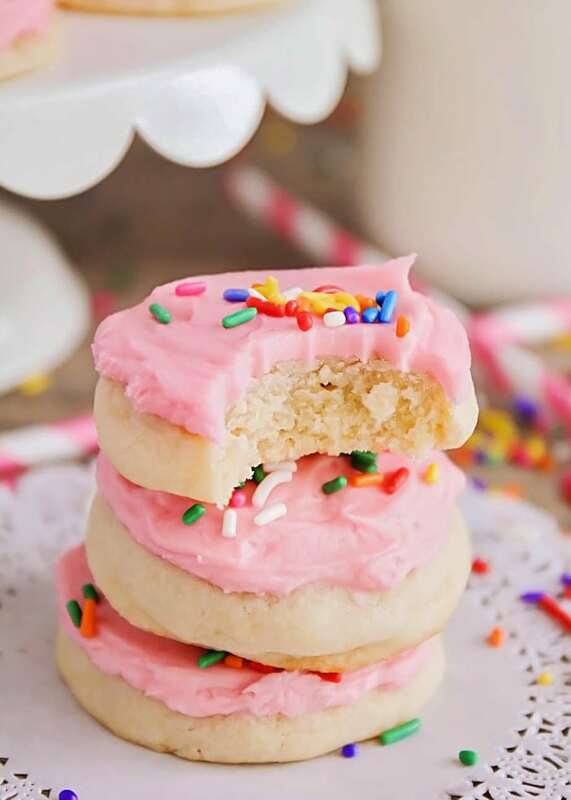 And today I’m sharing these Strawberry Frosted Sugar Cookies. 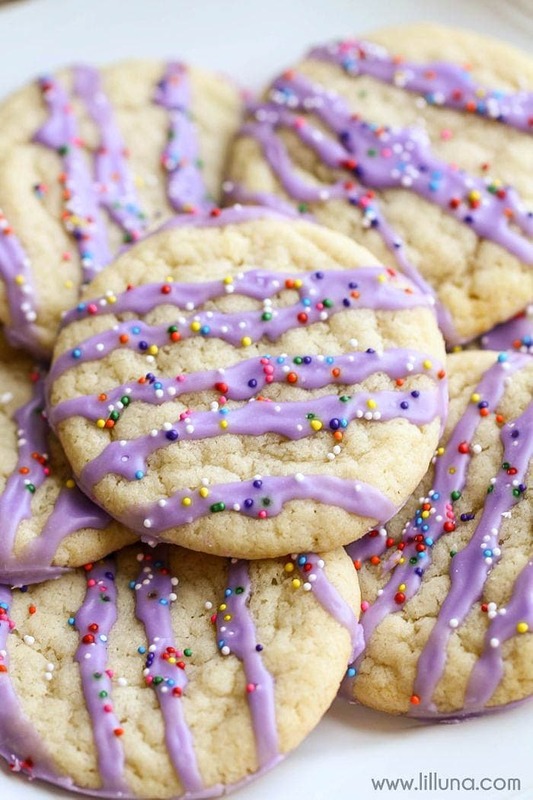 I don’t know about you, but I absolutely love sugar cookies. Especially soft & chewy ones with a thick layer of buttercream frosting. Because there’s no way I can resist a Lofthouse sugar cookie. (Yes, I’ll admit to loving store-bought, pre-packaged treats). The soft, buttery cookie. The creamy, super smooth frosting. It’s heaven. 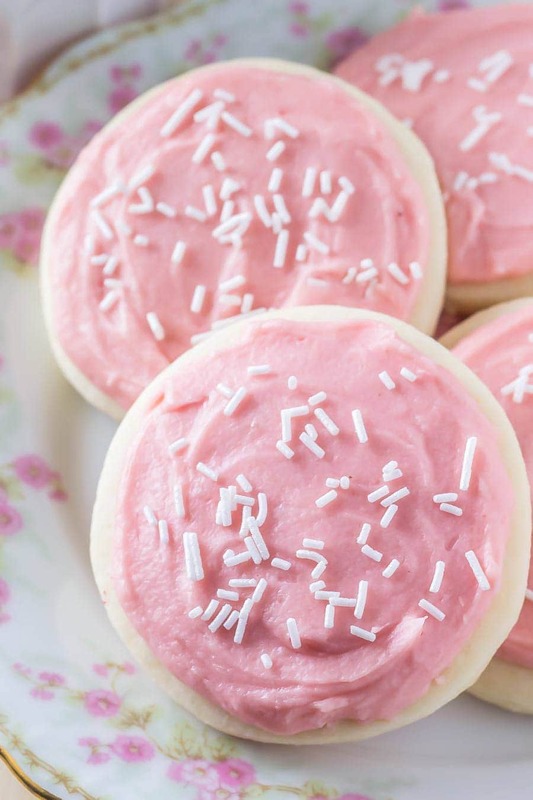 So today we’re making Lofthouse style sugar cookies with strawberry frosting. The cookies are thick, oh so soft, and melt in your mouth. Then the strawberry buttercream gives them a little something special. I made some that are heart shaped for Valentine’s day – but the pretty pink color is perfect anytime of year. 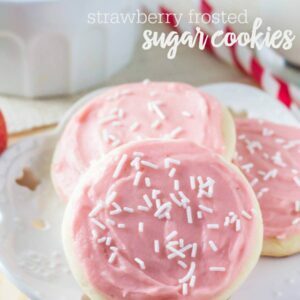 These strawberry frosted sugar cookies have the perfect buttery vanilla flavor and melt in your mouth. Then the strawberry frosting makes them extra special. In a large bowl sift together the flour, corn starch, baking powder and salt. Then in a separate large bowl using a stand or hand-held electric mixer on medium speed, beat together the butter and cream cheese until softened and evenly combined with no lumps. Add in the sugar, vanilla extract, almond extract and egg - then continue beating until evenly combined. Turn the mixer down to low speed and carefully add in the flour mixture until combined. You may need to turn off the mixer and scrape down the sides of your bowl as necessary. 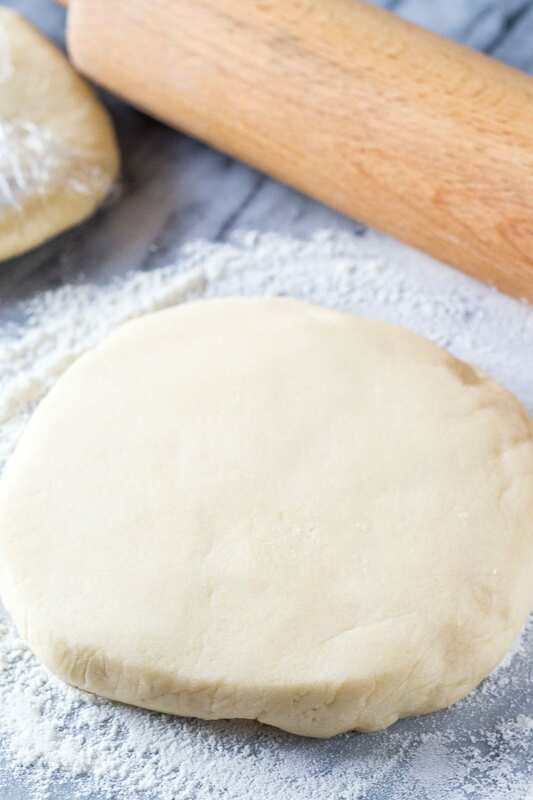 Divide the dough in 2, and form each piece into a round disc about ½ to 1 inch thick. Wrap each in clingfilm and refrigerate for at least 3 hours. Chilling the dough is mandatory - otherwise it'll be too sticky to work with. Once ready to bake, remove the dough from the fridge and bring to room temperature (this will take about 20-30 minutes). Preheat the oven to 350F degrees and line 2 to 3 baking sheets with parchment paper or silicone baking mats. After the dough has warmed up, lightly flour a clean kitchen counter. 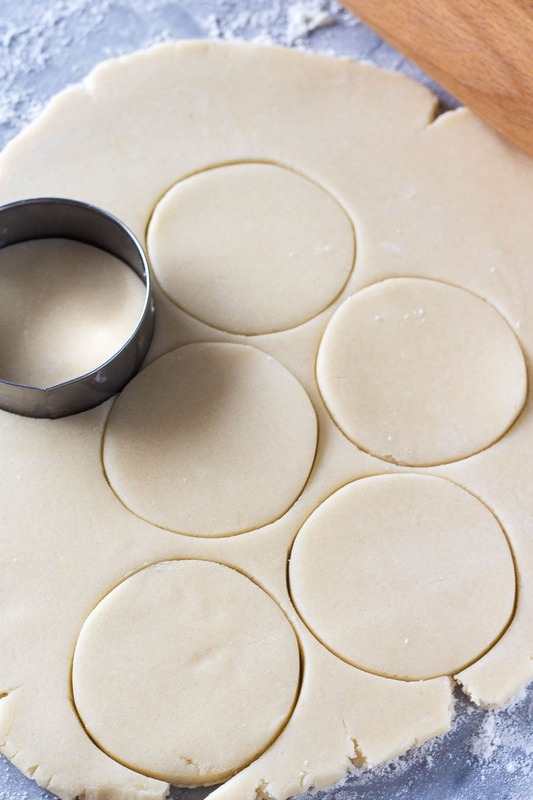 Using a floured rolling pin, roll each disc of dough about ¼ to ⅓ inch thick and cut into shapes. 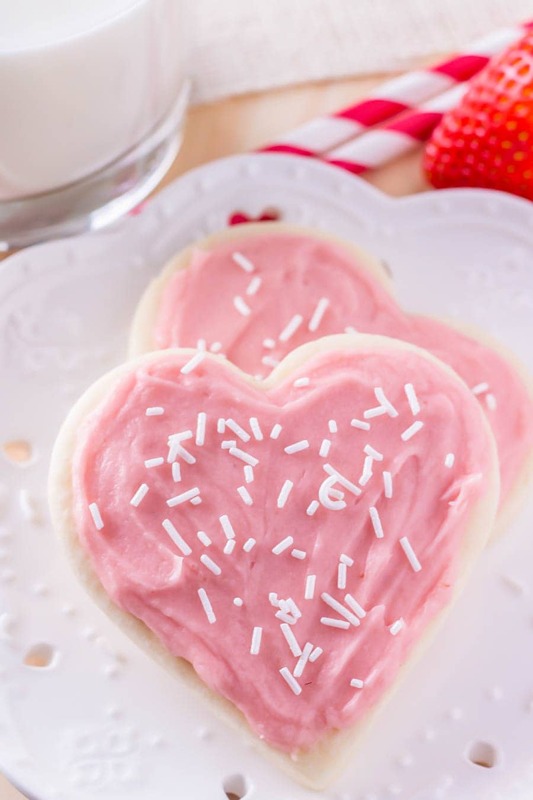 Because the dough is soft, and thick I recommend using simple shapes (such as circles and hearts), instead of intricate cookie cutters (such as snowflakes). Place the cookies 1-2 inches apart on the prepared baking sheets, and bake for 7-9 minutes or until the cookies begin to puff up and the tops look just set. Allow to cool fully before frosting. In a large bowl using a stand or hand-held electric mixer on medium speed, beat the butter until fluffy. Turn the mixer down to low speed and carefully beat in 1 and ½ cups powdered sugar, followed by the strawberry preserves. Add in the rest of the powdered sugar ½ cup at a time, followed by 1 tablespoon of the whipping cream until you get the desired consistency and sweetness. Once reached, beat in a few drops of red food coloring and turn the mixer up to medium-high speed for 10-15 seconds. We’re using a combination of butter and cream cheese for the dough because the butter adds flavor and the cream cheese makes them extra soft. Make sure each are at room temperature before getting started. 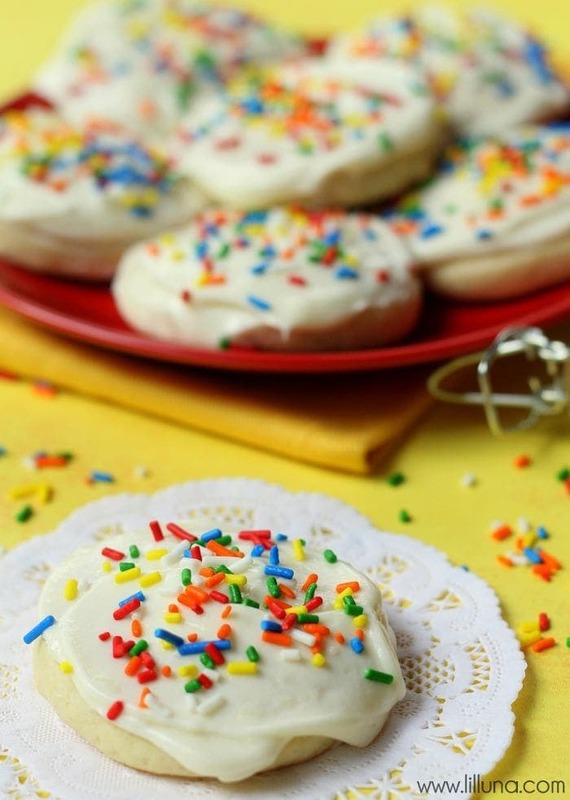 Vanilla extract and a touch of almond extract create that perfect sugar cookie flavor. Then using cake flour makes the cookies melt in your mouth. Chilling the dough is absolutely necessary, otherwise your it’s too difficult to roll out. Then the frosting gets it’s delicious strawberry flavor because we’re using strawberry preserves. Here’s the dough before & after it’s rolled out. Then the creamy strawberry frosting. I’m slightly obsessed with the pretty pink color. 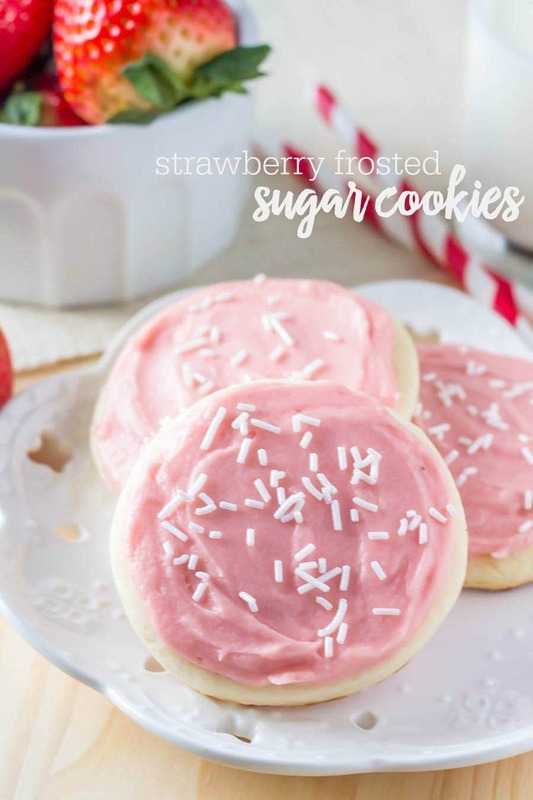 And finally, our delicious strawberry frosted sugar cookies! 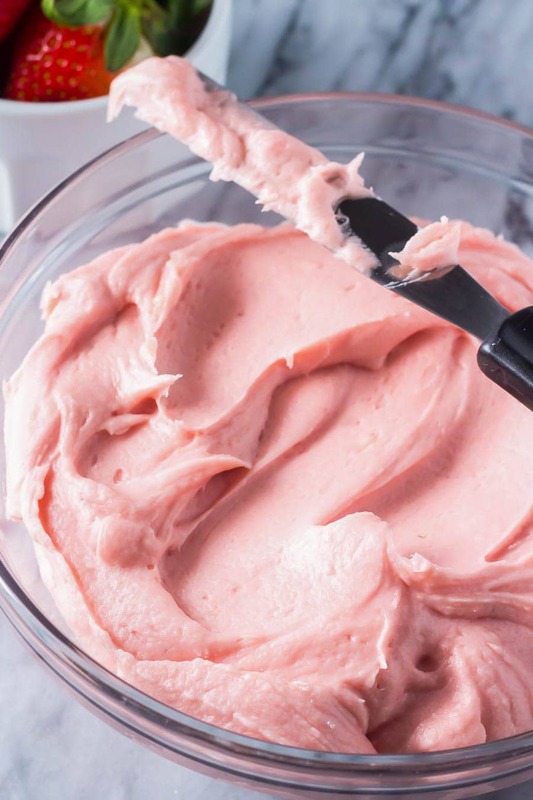 I’m dying to try this homemade strawberry buttercream frosting!! These sound so yummy! Thanks for sharing this recipe with us, Fiona! 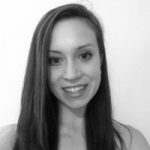 Check out more of her recipes over at Just So Tasty! They are!! 🙂 Hope you’ll give them a try!! Thanks so much for stopping by!